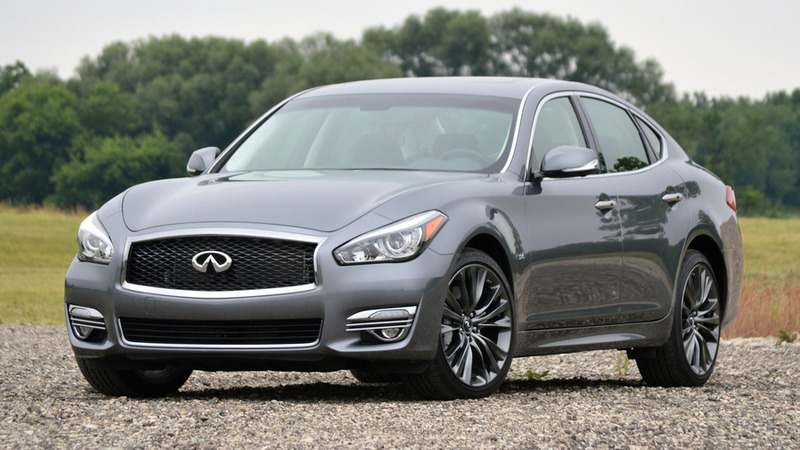 Infiniti has introduced the 2015 Q70 facelift which will be offered in a long-wheelbase variant. While the standard Q70 has a 114.2-inch wheelbase, the stretched Q70L benefits from an additional 5.9 inches of wheelbase which has increased rear knee and legroom. Besides improving comfort, the 120.1-inch wheelbase has made the model look more elegant and refined also helped by the facelift which has brought different headlights and taillights benefiting from LED technology. The car's front fascia sends a bit of a Q50 vibe while on the inside those wood accents look very nice and upscale. Besides the elongated wheelbase, there aren't any other major changes so the engine lineup has been carried over which means customers can opt for either a 330 bhp V6 3.7-liter or a larger and more powerful 420 bhp V8 5.6-liter. Both of them can be had in the newly introduced Q70L but in this case the V8 will provide 416 bhp. The engines work exclusively with a seven-speed automatic transmission and if you want to opt for the hybrid variant you will have to settle for the standard wheelbase version. 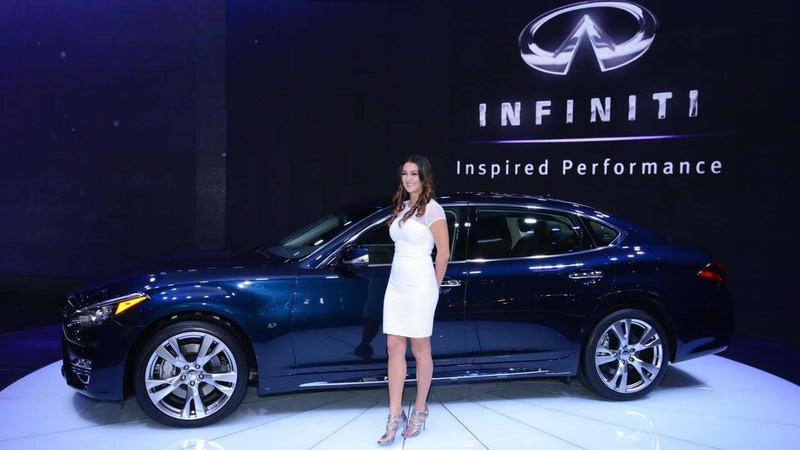 The 2015 Infiniti Q50 and Q50L facelift will be revealed to the public later today at the New York Auto Show before going on sale later this year. Full details can be accessed from the attached press release.